The days of uninspired above ground pools of water are long gone with today’s stylish above ground pool options. At Green Acres Pool Place, we only offer the best above ground pools on the market today, carrying a full selection from Evolution and Eclipse Optimum Pools. These pools are built to last, bringing years of enjoyment for you and your family. The Optimum is designed to provide many years of enjoyment and fun for your family. 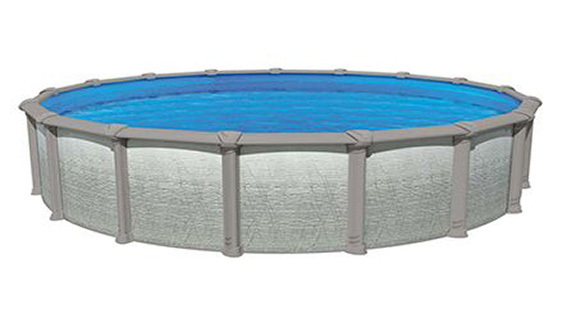 It is versatile enough to fit any yard as a round or oval above ground, semi in ground or full in ground pool. 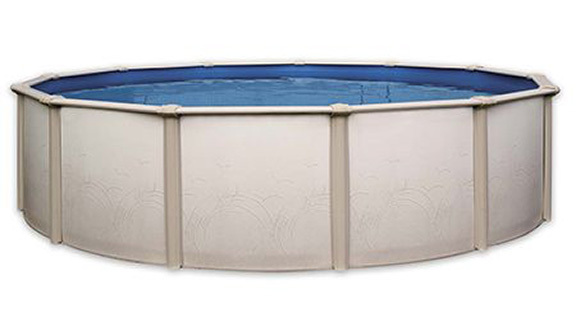 The advanced design of this pool is optimized for compact shipping and easy assembly. Whether you choose an above, semi in ground or in ground installation, the Optimum will enhance your home and backyard. The pleasure you and your family will find for years to come. There is simply no pool that is as affordable and versatile as the Optimum pool. Our professionals are dedicated to helping you get the backyard of your dreams at an affordable price. Many people choose an above ground pool from a cost-savings standpoint; whether you’re looking for upfront savings or the low year-round operating and maintenance costs, Green Acres is ready to install the perfect above ground pool for your family and your budget. Stop by our showroom today to learn more about the different above ground pools we offer. Our options are perfect for any backyard, as they include various sizes and shapes certain to satisfy your backyard vision. Contact us today to see how Green Acres can build an above ground pool into your backyard. When you add the Eclipse LX to your backyard, you create an exciting new place to be. Quality time with your family, relaxing with your friends, cooling off on a warm summer day, quiet moments for yourself—these are the reasons why you buy a pool. And with the Eclipse LX, you are ready to start your new leisurely lifestyle. Vinezia LX wall design easily blends into your backyard.